The home received severe hail damage. Roof It Forward provided a video roofing inspection and worked with the homeowner to file an insurance claim. The Roof It Forward team then met with the insurance company and laid out a detailed plan on replacing the roof. The result is a brand new roofing system on the home funded by the insurance provider. Roof Replacement in McCordsville, Indiana. Roof It Forward has completed another roof replacement in McCordsville Indiana. This home is utilizing the Owens Corning Duration shingle in the color Summer Harvest. This shingle is warranted for up to 130 Mph wind gusts due to its sure nail technology strip. All Roof It Forward roofing projects are built using the Owens Corning roofing system where each component is designed to work in unison with one another. Contact Roof It Forward for your next roofing project. Roof It Forward has completed another roof replacement in McCordsville Indiana. This home is utilizing the Owens Corning Duration shingle in the color Storm Cloud. 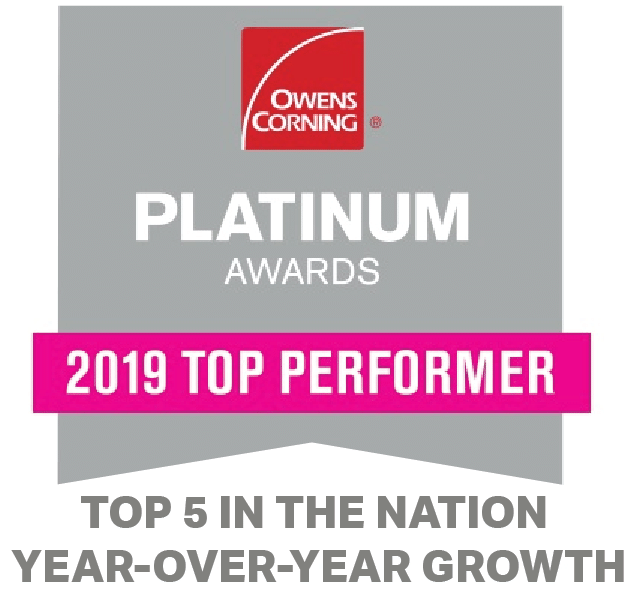 Roof It Forward only installs completed Owens Corning Duration systems. These shingles are warranted for up to 130 Mph wind gusts. Contact Roof It Forward for your next roofing project. Diana C. Highland Springs Dr. N.
Very professional! They did a super job. Will recommend them to anyone who needs exterior work done. Thanks so much! !Thank you for being persistent with the insurance company and going above and beyond to have our roof replaced. If your home has faded and worn siding and you want your Mccordsville home to look fresh and new then contact ARAC Roof It Forward today for your siding installation and replacement needs. We can install vinyl siding on your home so you can have vibrant colors that will last decades that are easy to clean and can take a beating from the elements. We also install rigid foam insulation under the siding which will add to your Mccordsville home's comfort while saving on energy bills. Contact ARAC Roof It Forward today, your trusted Mccordsville, IN roofing & siding contractor! Every job done donates a portion of profit to the Peyton Manning Children's Hospital at St. Vincent. Thank you for helping us Roof It Forward. Call or contact Roof It Forward for a free inspection! ARAC Roof it Forward completed this roof restoration In McCordsville Indiana. ARAC used the Owens Corning Duration shingle in the color Sand Dune. The final project turned out beautifully and the client was very happy.